Dr. Robert Hayden, a media spokesperson and the Georgia delegate for the American Chiropractic Association, the largest professional chiropractic organization in the United States joins eHealth Radio and the Chiropractor & Health News Channels. Dr. Hayden is also a practicing chiropractor in Griffin, Georgia. Let's talk about back pain. Who is at risk of suffering from back pain? What can the public do themselves to improve and maintain their spinal health throughout their lifetime? What if self-care alone doesn't work? How can chiropractors help? What evidence is available to support what chiropractors do? How can people learn more about chiropractic and find a good chiropractor near them? 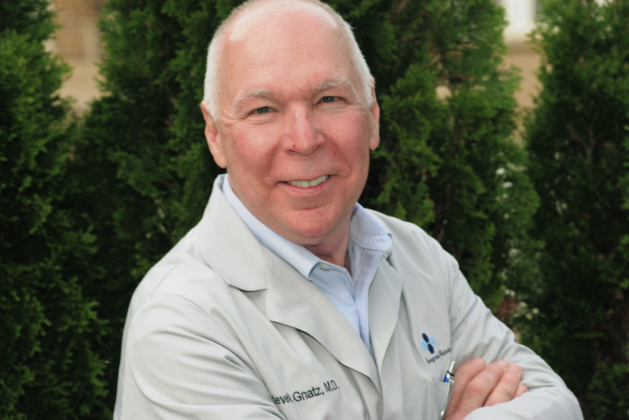 Dr. Robert Hayden maintains a private practice in Griffin, Ga., just south of Atlanta. Dr. Hayden is a media spokesperson for the American Chiropractic Association and serves as the Georgia delegate in the ACA House of Delegates. Dr. Hayden is a past president of the Georgia Chiropractic Association and was named the organization’s "Chiropractor of the Year" in 2006. Prior to receiving his doctor of chiropractic degree, Dr. Hayden was a cardiovascular clinical nurse specialist. 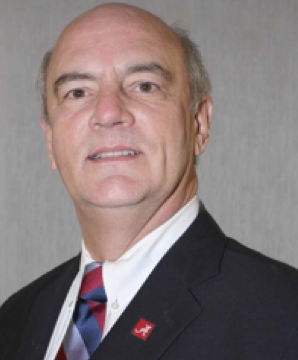 He devoted 18 years to the nursing profession, serving as executive director of the Mississippi Nurses’ Association, and as a registered lobbyist and continuing education consultant. Dr. Hayden holds bachelor’s degrees in chemistry and nursing, and received his master’s degree in nursing from the University of Alabama. He also holds a PhD from the University of Mississippi and in 1995 received his doctor of chiropractic degree from Life University. 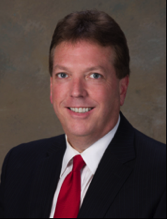 Dr. Steve Gnatz, MD, MHA, Chief Medical Officer of Integrated Rehab Consultants (IRC) joins eHealth Radio and the Health Care, Health News & Rehab Channels. IRC provides rehabilitation physicians (also called physiatrists) to more than 300 skilled nursing facilities across the country to improve patient care and get rehab patients home sooner. You are a physiatrist and Past President of the American Academy of Physical Medicine and Rehabilitation. Can you please tell us what a physiatrist is? 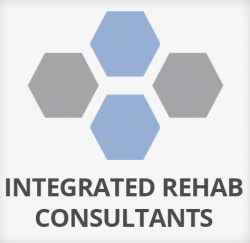 In terms of rehab, your group, Integrated Rehab Consultants, provides an interesting service. Can you please explain? Why is physiatry in skilled nursing facilities so hot right now? How do physiatrists make patient care better in skilled nursing facilities? Should patients going into rehab after something like a stroke or orthopedic surgery look for a facility with a physiatrist? Steve M. Gnatz, M.D., M.H.A., is the Chief Medical Officer for Integrated Rehab Consultants, a nationwide group of physiatrists practicing sub-acute rehabilitation. He holds a faculty appointment as Professor in the department of Orthopaedic Surgery and Rehabilitation at Loyola University Medical Center in Maywood, Illinois. Romy Camargo and Co-Founder of Stay In Step and Legal Counsel for the foundation Kendall Almerico join eHealth Radio and the Rehabilitation, Health Care & News Channels. SCI was formed to provide spinal cord injury patients with a step forward toward recovery through world class rehabilitation and collaboration. Stay In Step will be a non-profit recovery center designed to provide state of the art recovery to SCI patients in the Tampa community and surrounding areas. Romy you have quite the inspirational story. Please tell our listeners the inspiration behind the Stay in Step Foundation? What is the overall goal of the SCI Recovery Center? For those who maybe can’t afford the surgery you underwent, what is your suggestion on where to turn for treatment? Can you describe a little more of your backstory when it came to making the decision to go overseas for surgery. What is the most important part of the recovery process? It is a fact that 81 percent of people that were married before their injury were still married five years later. I understand that your wife Gaby is a big inspiration and supporter. For those listeners that are married are there any tips you have on how to cope once you know your spouse is injured? Any advice you can provide from your vantage point or words of advice? I understand you are creating a rehabilitation center. We have Kendall Almerico on the phone today, Kendall what are some tips for those non-profits that may not be doing the best job fundraising? How can our listeners donate and help your organization and cause & where can our listeners go or who can they call for more information on the foundation? 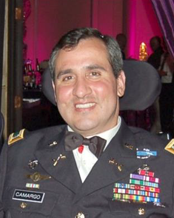 Chief Warrant Officer Romulo “Romy” Camargo has been in the United States Army since April 6, 1995. Most of that time has been spent in the Special Operations community with the 75th Ranger Regiment and 7th Special Forces Group. He was deployed to Central and South America as well as completing a trip to Nairobi Kenya. However, 9/11 changed a lot of things for a lot of people, including Romy. He was deployed to Afghanistan, which was certainly more than an experience. The missions were intense, the risk was high, yet every day was fulfilling to someone like Romy, a soldier at heart. On September 16, 2008 (during his third deployment to Afghanistan), Romy's mission had been cancelled. He opted to do a humanitarian mission which involved medical professionals going into a village, operating and taking care of women, men, and livestock. As a humanitarian mission, it was considered low risk but as soldiers know, there is no such thing as low risk when you are in a war zone. That day Romy’s detachment was ambushed. As bullets rained down on the entire team, Romy took a gunshot wound to the back of his neck. His fellow soldiers saw him go down. He lay limp in the bed of his GMV (Ground Mobility Vehicle). The soldiers managed to repel the attack, as the team Medic ran to Romy. They turned his limp body over and immediately did an emergency tracheotomy and began bagging him, all in the midst of cross fire. The soldiers remained calm and focused on one purpose...getting Romy out alive.They stabilized him enough for the medevac which prepared him for the flight to Germany. This became merely a stopover as they shipped him immediately to Walter Reed Medical Center. Romy was conscious, but unaware of what had happened. He landed on September 19, 2008 in Washington, D.C. A day Romy and his family will never forget. Gaby never thought she would spend her birthday like this, waiting to greet her husband in the hospital. Unsure of what to expect, she merely prayed and asked for continued strength to be able to handle whatever God may have in store. Kendall Almerico is a Board Certified attorney with 25 years’ experience who is also considered one of the top crowdfunding experts in the United States. Kendall has appeared in USA Today, Washington Post, Washington Times, Huffington Post, the New York Daily News, Business Insider, Fox Business Network and hundreds of newspaper, blog, radio and television interviews including CNN, CBS, ABC, NBC, FOX and The Sean Hannity Show. Kendall is the founder of Crowd It Forward, a charity-based crowdfunding site that performs “Random Acts of Crowdfunding” and raises money for people in need through a 501(c)(3) charitable foundation. When Kendall heard Romy and Gaby’s story, he knew without a doubt he needed to commit his skills and resources to make an impact. Not only did Kendall know he could assist in raising funds through crowdfunding side, but he also knew he could contribute his professional legal skills.